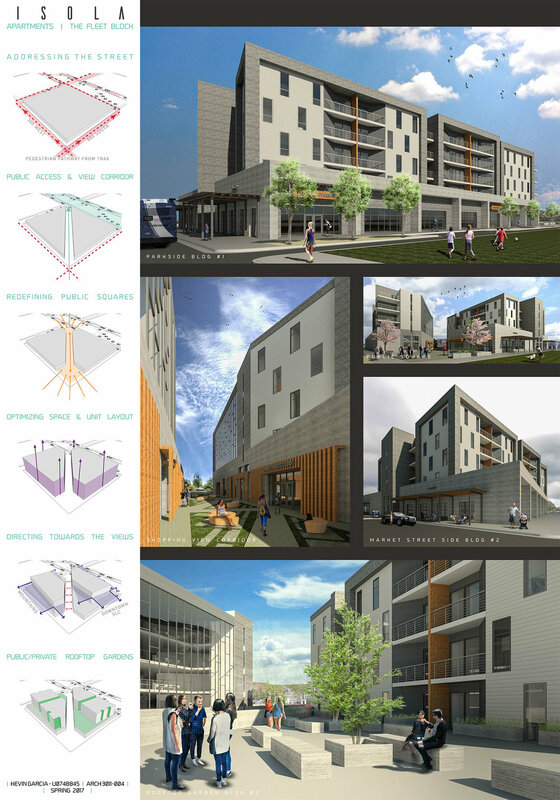 The Isola Apartments is a Mixed-Use 104 unit residential project located in Salt Lake City, Utah. 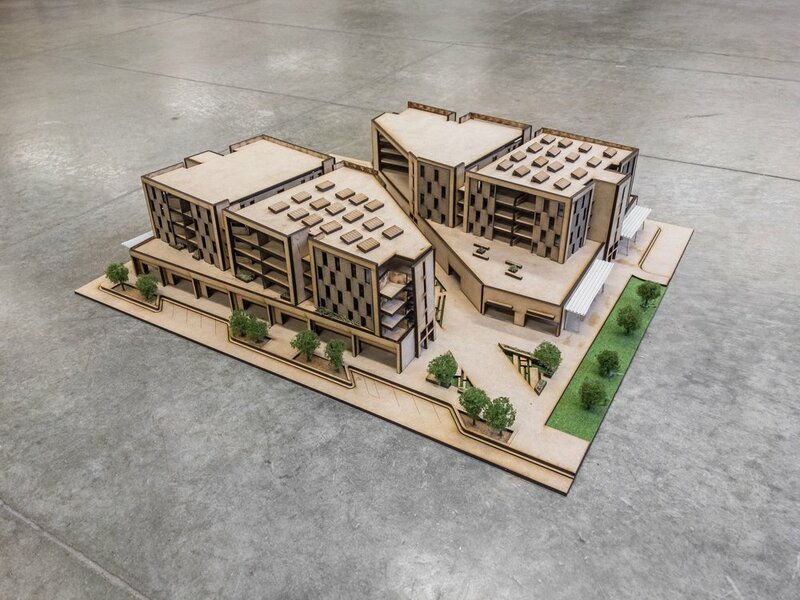 “Isola” is an Italian word that is defined as an island or a set of islands, and can most notably be seen through the concept of having two building masses rising from the streets of Salt Lake City. 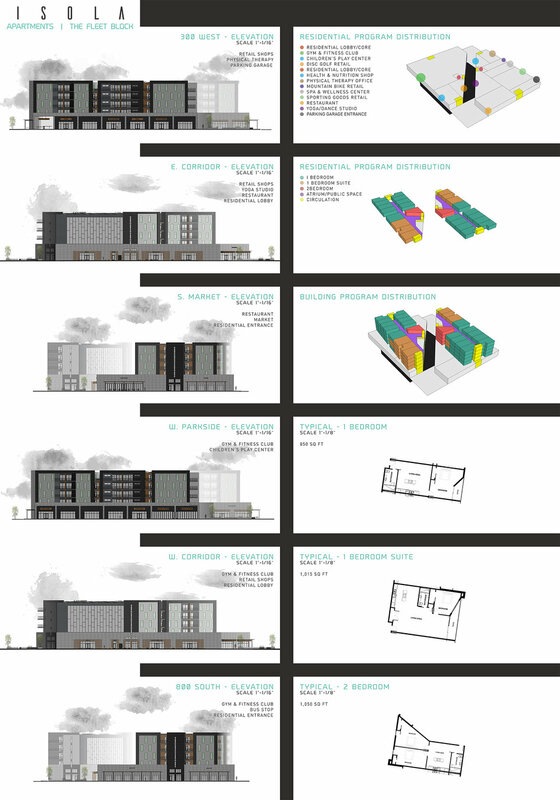 The building and site is designed to react to 3 main site considerations. #1 Providing the area with much needed green and public space. #2 Reacting to the adjacent UTA (Utah Public Transit System) and providing circulation space. #3 Directing occupants towards views of downtown Salt Lake City and the Wasatch Mountain Range. The Isola Apartments cater towards young families, business professionals and University students bringing 1-2 bedroom apartments to the area. 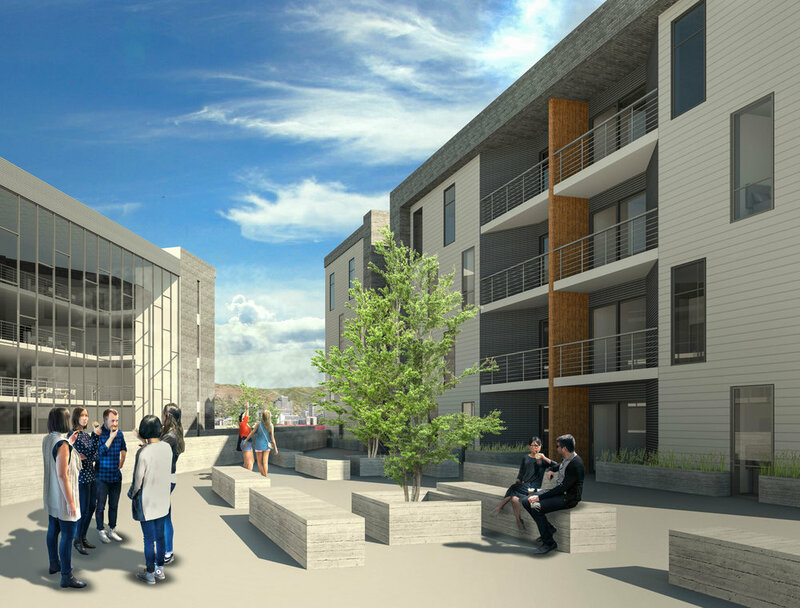 Amenities include underground parking, a UTA bus stop and a farmers market. Each resident floor has a public recreational space for community hangouts and interaction. Retail amenities include a Gym & Fitness Club, Yoga/Dance Studio, Children's Play Center, Restaurant and Retail shops. The 1st floor retail shops were designed to address Salt Lake City street setbacks by allowing generous 10' sidewalks and by bringing the retail shops close to the city streets. The Gym/Fitness Club & interior park strip can be seen from the busy city intersection inviting passerby's to enter & utilize the space. The view corridor was designed to provide a pathway/view to the central public park while allowing entrances to the Retail Shops and The Gym & Fitness Club. Shading trellis's, outdoor seating and permeable pavers provides an inviting space for people to gather. 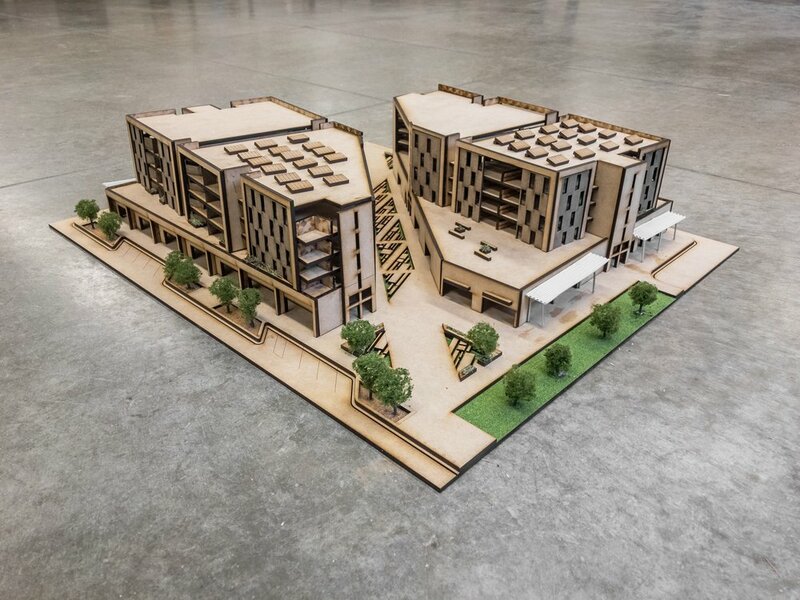 The Isola Apartments capitalizes on the views towards downtown Salt Lake City and the Wasatch Mountain Range with both private and community rooftop gardens, which connect the people of Salt Lake City back to the city and to the landscape.